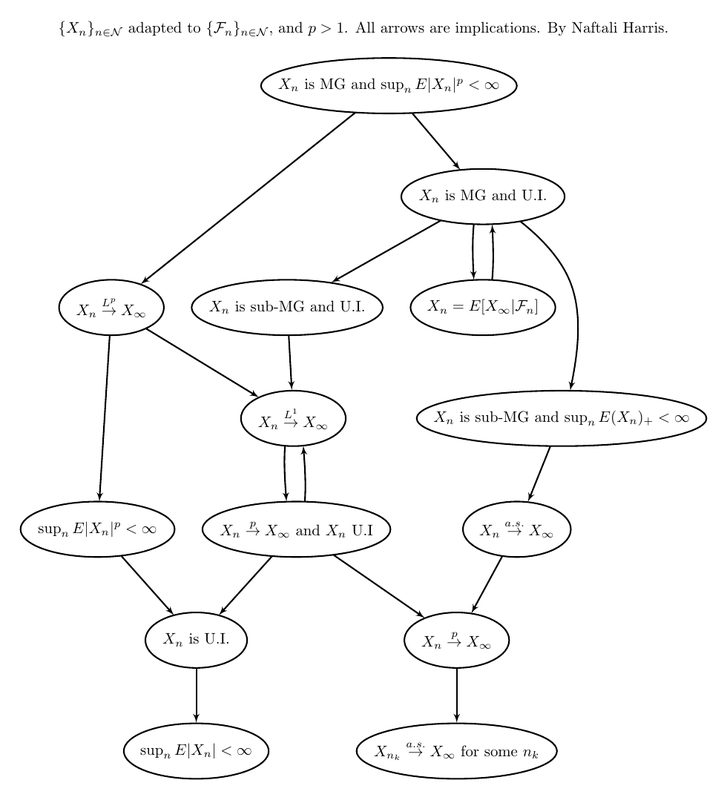 Here's another directed graph of statement implications that I used to study for quals. This one is about convergence of stochastic processes with martingales. Like my Markov Chain Implications Graph, each node is a statement about a stochastic process, and each edge is an implication. Here it is! Click here for a nice pdf you can print.